Come out an join us for CREW’s once a month Strolling Science Seminar. 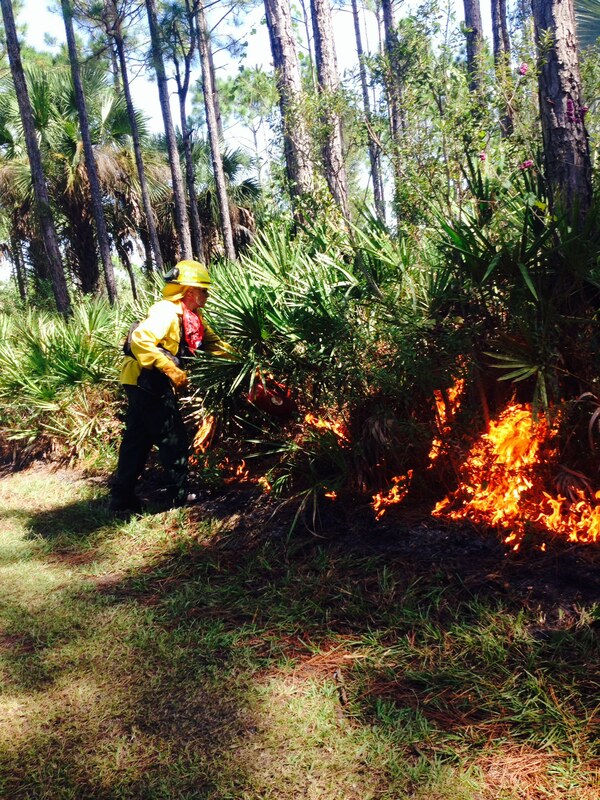 For January we are exploring prescribed burns. With veteran fire expert Jim Schortemeyer and CREW project leader Joe Bozzo . Come and explore the unique interactions of fire and water that have shaped the CREW landscape for thousands of years. Learn some history, explore fire basics, and view the direct impacts of fire on wildlife habitats. Experience the basic prescribed fire techniques and how different techniques benefit different species. See the results of fire exclusion and discuss all the reasons for using prescribed fire on CREW lands. Jim Schortemeyer is an experienced prescribed burn manager, fire instructor and wildlife biologist. His stories bring to life the very real impacts and results of working with fire. Joe Bozzo is CREW’s current land manager and project leader and together they have over 6 decades of experience managing South Florida’s wildlife and habitats. This is an adult only hike. What to wear/bring: Wear comfortable outdoor walking clothes and closed-toed shoes. Please bring some water to drink and snacks for the trail walk.